I'm building a body computer using a raspberry pi, and a bunch of neat hardware peripherals. This is designed to replace my cell phone and build an open well documented platform for others to do the same. I want to eventually build an all-encompassing PAN1 which can handle all of my computing and connectivity needs. This is the latest iteration of my body computing projects, following the failed 'core jacket system' concept. I shelved this project for a while to back up and think about how to solve these problems best, and going forward am going to take a slower, more methodical approach to building out this system. There's a lot of overlap between this project, FSEM, and my yet-to-be-documented Homehub system that I need to flesh out before attacking the actual hardware design of this system. Looking at the design portion of things, I feel as though I may take a second crack at an alternate interface; not Manfred's computing vest, but more like Chief Aramaki's neck interface. 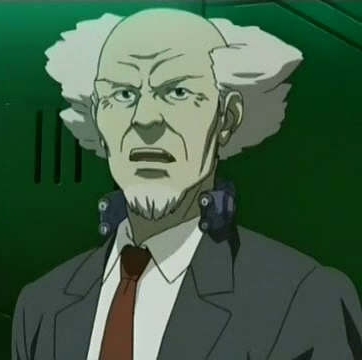 Aramaki's neck interface served as the physical interface for his cyberbrain – Cyborg bodies had the clips in the back of their necks to create wired interfaces, but Chief's organic body does not. Obviously, I don't have a cyberbrain to interface with, but the idea of cramming computing aspects in to a system like this is actually not bad, and a rabbit hole that may be worth going down some time soon. In terms of interfacing to this, since again I don't have a cyberbrain, would be a sort of 3D-printed pistol grip with 5 buttons each that could chord out to key characters or perform tasks. The third piece would be re-purposing my smallbag as a simple network hub, with a wifi hotspot, some external batteries and charging peripherals.